Noble is an international mobile payment, gift and product application for over fifty blockchain-based digital currencies. It further aims to incorporate blockchain technology into digital identity systems, international digital currency AML/KYC security to help combat financial fraud and money laundering, and real estate ownership and land rights. Beyond technical features, experimental code and revolutionary ideas, Noble provides real-world, day-to-day usage to blockchains so they remain, first and foremost, a unique type of currency. Purchase over 400 international gift cards using Bitcoin or using one of more than 50 alternative cryptocurrencies. 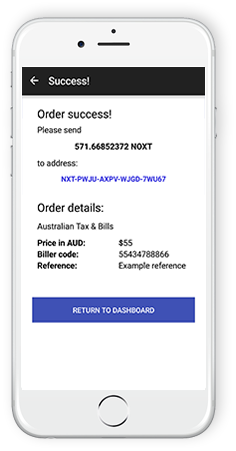 Pay Australian or European bills and taxes using cryptocurrency. Noble handles all exchange and local payment systems internally. 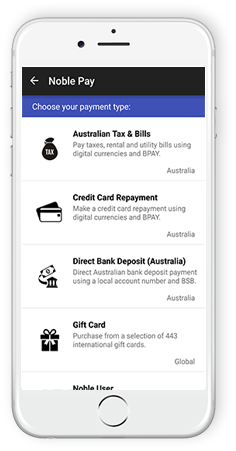 Automatically exchange and deposit directly into Australian and European bank accounts using Noble-supported alternative cryptocurrencies and Bitcoin. 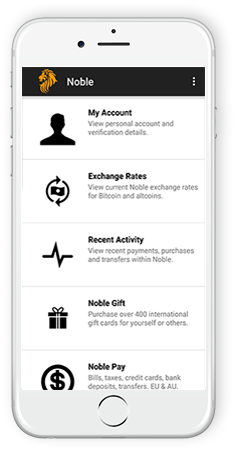 Save addresses, register accepted digital currencies, and pay users completely in-app, letting Noble handle exchange rates and transfers in the background (in development). Noble development is focused first and foremost on blockchain-based cryptocurrency, aiming to ultimately remove the need for fiat and exit ramps completely. Noble is developed to inherently support any number of cryptocurrencies, linked into multiple API's and using custom wallet and exchange systems where necessary. Depending on the cryptocurrency and fiat pair selected, exchange rates are automatically gathered from a wide range of sources. Development of Noble is ongoing, with each patch bringing improved design, usability and features to the application. Using the power of Bitcoin and the blockchain, digital payments, purchases and transfers are available internationally with zero-to-low fees. In development for Noble is a complete user-to-user based localisation, payment and merchant system allowing users to trade and purchase between themselves. 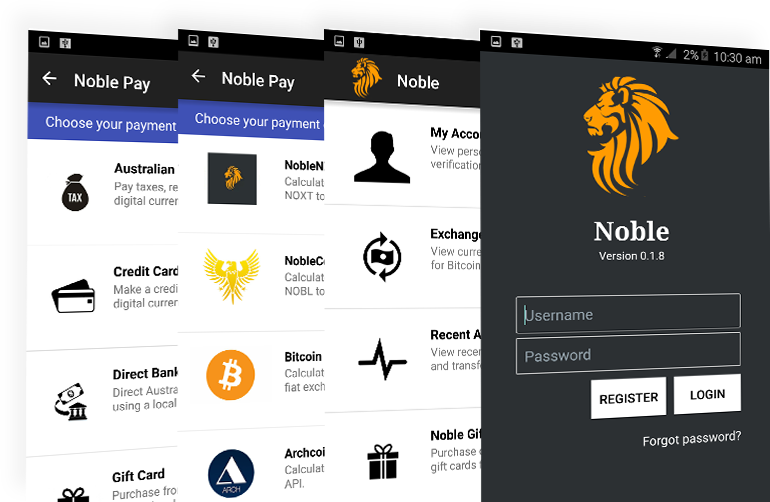 Noble does not currently act as a wallet, instead linking into to cryptocurrency-specific wallets outside the application. This prevents us from generating, storing or being responsible for any private keys. Your money is in your control. 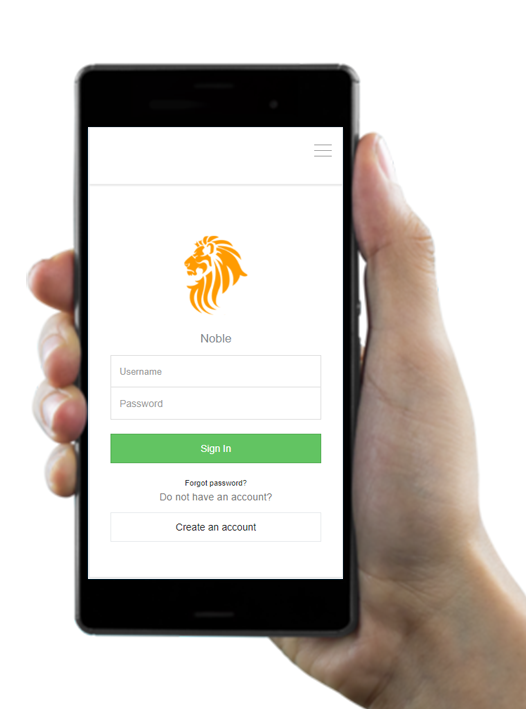 Smaller purchases and payments can be made online right now, without the need for the Noble mobile application, accounts or AML/KYC requirements. 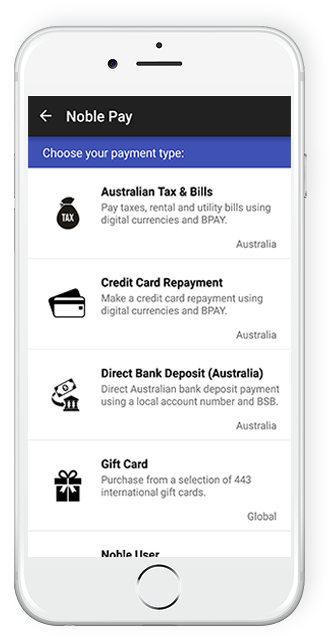 Pay Australian taxes and bills, deposit directly into bank accounts, transfer into European accounts, pay off credits cards, the list keeps growing. Do smaller transfers and payments using Noble Pay online right now. Purchase from a range of over 400 international gift in many dominations of fiat currency and exchanged from digital currencies. The development and services behind Noble were crowdfunded via the sale of the NOXT token. 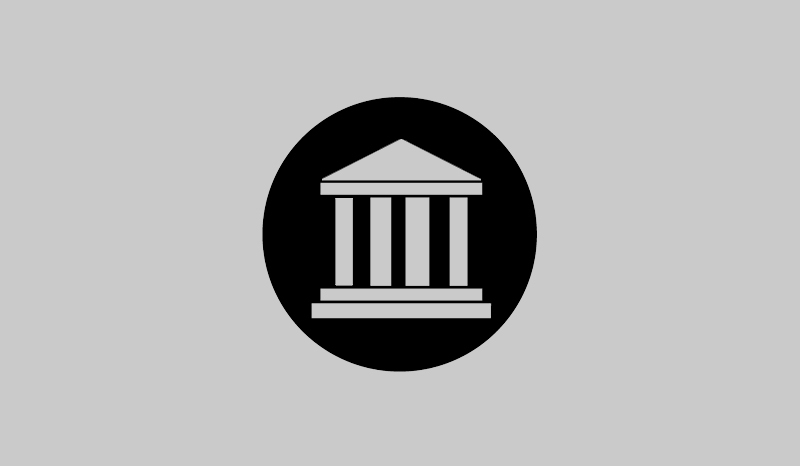 This token can be used to buy support for your own cryptocurrency, making it too an international option for digital currency payments and purchases. 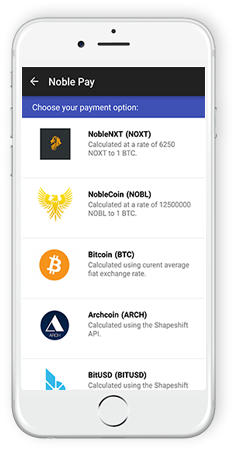 Click here to add your coin to the Noble platform, and begin purchasing and paying bills in your favourite cryptocurrency today. Give your own coin the ability to act as an international method of payments and purchases, including taxes, bills, credit cards and gift cards. 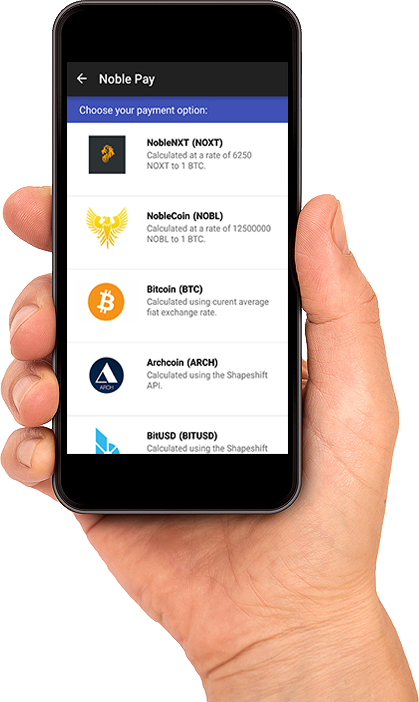 Coins that have purchased Noble support pay zero fees to use the mobile application for payments and purchases (any third party fees transparently disclosed and not included). 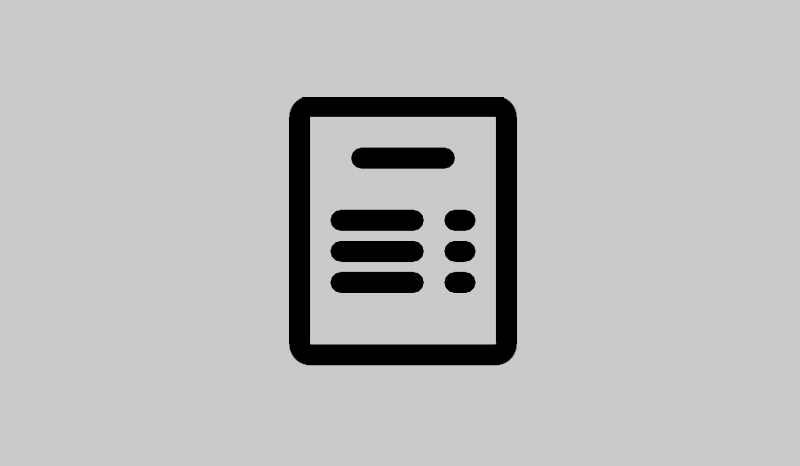 Supported coins are also included in all user-to-user features and functionalities, including payments, address books, exchange rates and exchanging. Noble and its associated services have been around the cryptocurrency scene for more than two years and, despite consistent challenges, remains true to its original vision. Using Noble Pay and Noble Gift is a straight-forward affair, allowing you to make an order and pay using your preferred cryptocurrency method in minutes. 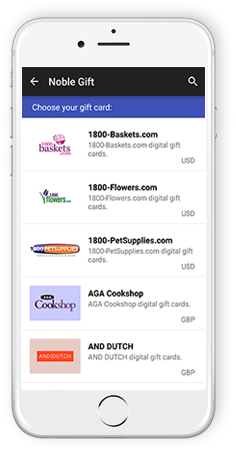 Select the action you wish to take, whether it be payments, purchasing a gift card, or sending digital currency to another Noble user. 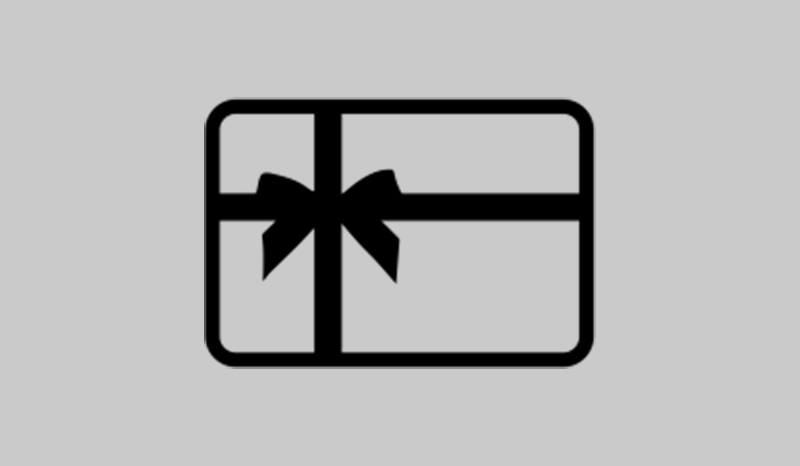 Choose the digital currency you wish to use as payment, and in the case of gift cards, the type and nationality (for fiat exchange/locality purposes) of your gift card. 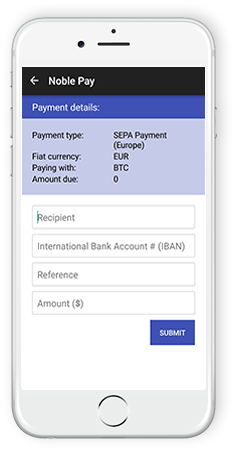 Enter payment details such as target account, amount, payment option specifics, etc, and receive a confirmation with address to send your coins to. 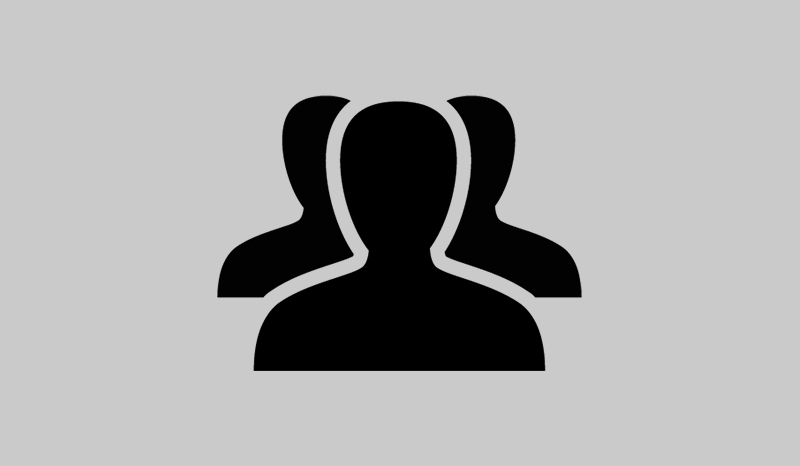 Get notified of major feature updates and latest news.